Applications: For use with floor preparation and polishing machines with suitable grip based heads. 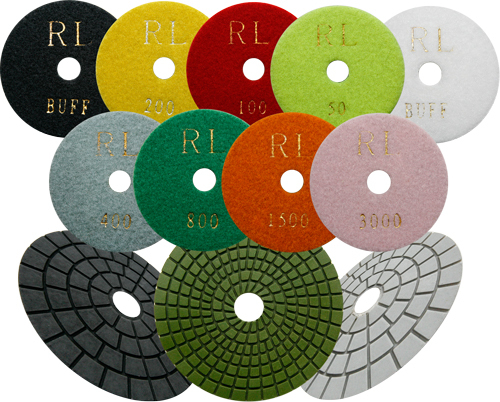 These diamond pads give quick, effective floor restoration and polishing service. Use the red coded discs, (grade 400) for deep cleaning and scratch removal. Use the white coded discs (grade 800) on lighter scratches and heavily soiled floors. Use the 1500 grade for general cleaning on lightly soiled floors. The green coded pads (grade 3000) are for full gloss polishing. They can be used in sequence to go from a matt finish (grade 400) upto a full gloss finish (grade 3000). The pads are double sided, and impregated with diamond throughout, giving prolonged life. They can be used dry, but will give an even longer service life if used wet. Double sided for double life (Typically 60,000m2 per pad, possibly more if used wet.). Works with grip based drive pads on polishing machines. No special tools required to fit. Environmentally friendly, no chemicals required, just water. 4 grade system from grade 400 (matt finish), 800 (dull shine), 1500 (gloss) to 3000 (high gloss). Colour marked to avoid using incorrect grade. Suitable for terrazzo, marble, natural stone, polished concrete, linleum, vinyl. High diamond content for rapid performance. 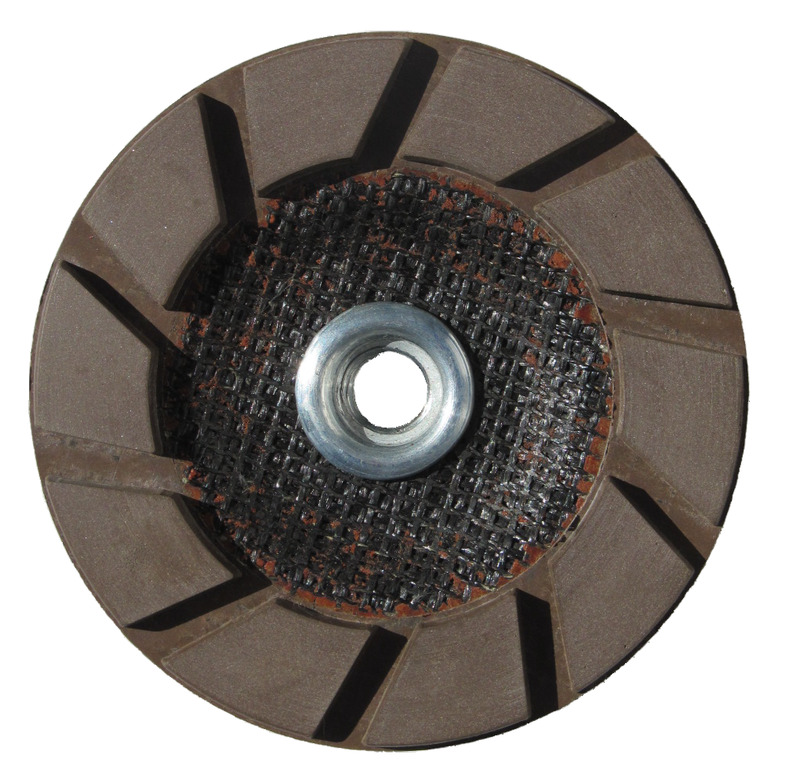 We supply the popular 17in (430mm) pads. For 20in pads, please enquire. User Tip: Before using, remove loose dust and grit to get a better finish faster. 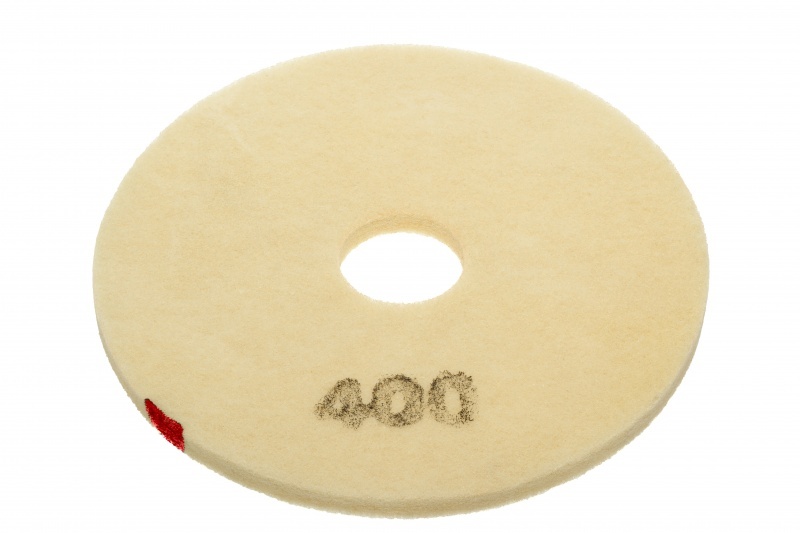 Wet polishing pads are the preferred choice in situations where it is suitable to use water. 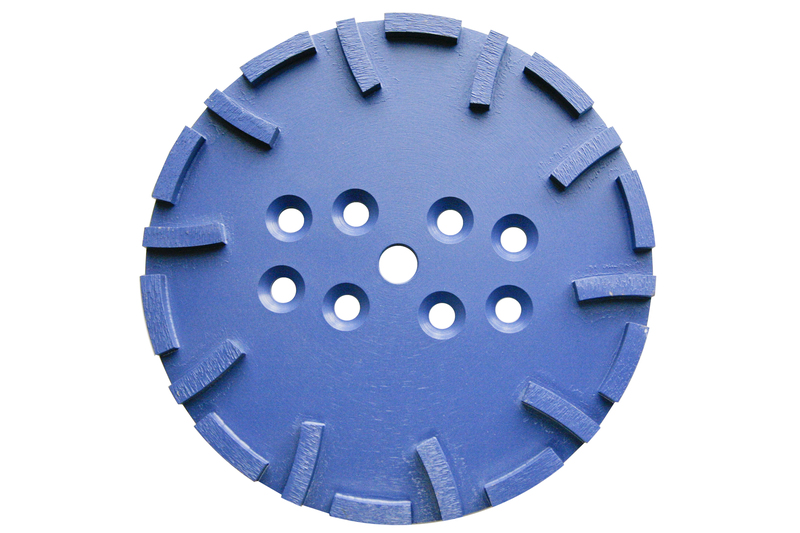 These 250mm floor grinding plates fit most 10in machines designed for smoothing off concrete and stone floors.